Please welcome our newest employees. While currently in Paramedic Training as part of Class 42 they will begin providing emergency care in August. My name is Anthony DeSanto and I have been slowly moving towards the Pacific Northwest for most of my adult life. I am joined in my recent relocation by my wife Kiley, and our 3-month-old son Ellis. Originally from Pennsylvania, I began my EMS career working for a private ambulance company. I moved to Colorado and became a Firefighter/Paramedic for the Clifton Fire Department – a small, transporting department near the Utah border. I discovered KCM1 during my time in Colorado, and further research into the system solidified the fact that employment would be a dream come true. It was no surprise that most of my colleagues (paramedics and ER physicians alike) were well aware of the Medic One program. I am truly grateful for the opportunity to attend training at Harborview, and look forward to one day becoming a contributing member to this amazing organization. Hello, my name is Kyle Waterman. I was born and raised in Western WA. 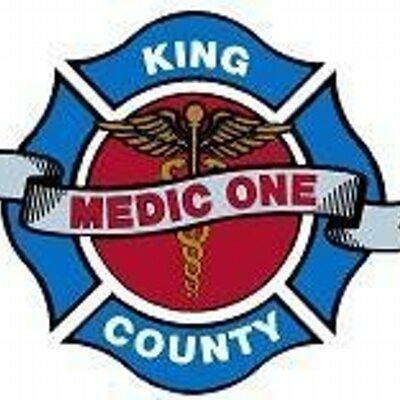 From 2006 – 2011 I worked for AMR in King County as an EMT and in 2010 I attended TCC under Mike Smith for paramedic training. In 2011 I went to Iraq for a year and a half, and Afghanistan for a year under a Dept of State contract through a private company. While overseas I attended CWU and obtained my Bachelor of Science. When I came back home I found work in Wenatchee/Omak working for LifeLine Ambulance, and was later hired by AMR in Lewis County where I worked until I started at KCMO. I was drawn to KCMO for several reasons such as research based medicine, autonomy, and tiered response system model. Being apart of an organization that shapes and sets the bench mark for the paramedic profession for the rest of the country is an honor. My name is Richard “Ricky” Gordon and I want to start by expressing my excitement and gratitude to have the opportunity to join such a well renowned program. I join you having left Orlando, Florida where I lived and was raised. Prior to accepting this opportunity I worked for Orange County Fire Rescue as a Firefighter/Paramedic and Bayflite of St. Petersburg as a Flight Paramedic. I am here with my Expecting wife of 8 years Jennifer (she is due November 2nd) and my 4y/o daughter Tessa. I am so looking forward to the amazing learning environment I will be a part of at Harborview and later building on that foundation with the vast experiences of my colleagues. February 2, 2016 in Employee News.